R220/day, including transport, and their available days are marked green. 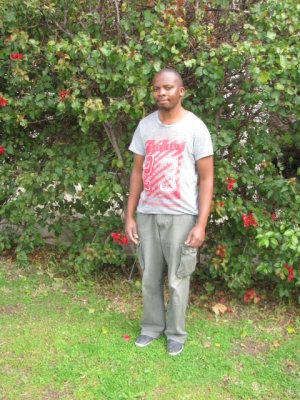 His story: Mike was working in Sir Lowry's Pass and in Croydon as a gardener. The one family could no longer afford him. The second time he had to go to Malawi and the family had to replace him. He also did work for an installation business. His wife lives here with him and the children in Malawi. As they are taken good care of he will not soon have to go back to Malawi again. What the reference said: Mike helped me with my installation business and was my right hand. He is a fast learner and I can recommend him to anyone for anything. I have an installation business. His wife cleaned our house. I still phone him when I need him but currently don't have enough business. I know before he worked for us he was working as a gardener in Croydon. He was supposed to work in our garden too but we never got to that. I would describe him as honest, hard working and humble. Mike worked for us as a gardener for 6 months. He went on unsupervised after an initial introduction. He is a good guy and we had to unfortunately let him go due to financial problems. Our observation: Mike is a quiet worker who describes himself as 100% honest. He says he also has done house cleaning. 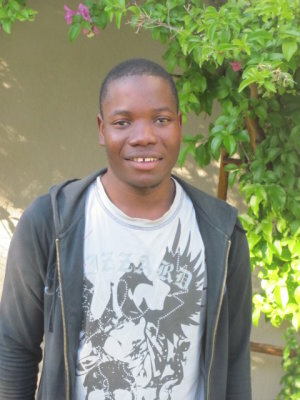 His story: We already found work for Jacob's sister and her employer is very happy with her. The two of them are living together in Macassar and send money home to support their families. 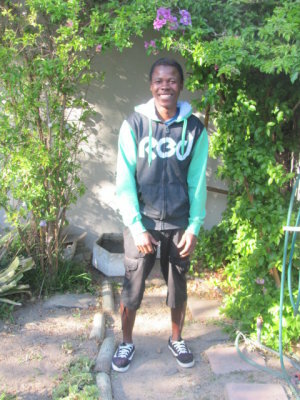 Since 2012 Jacob does gardening work in Cape Town for a very small gardening company. They call him when they need him. and he has to travel far to get there. We called the supervisor for a testimonial. One Stop Domestic placed him in the meantime and now he is still looking for the above day(s). His employers are highly satisfied with him. What the reference said: Jacob has been with us since about 2012. We only do garden work in Cape Town. Jacob lives in Somerset and is a stand in garden boy because he needs to travel so far to Cape Town and my other workers are local. I can totally recommend him, he is always on time, gets along with eveybody, never has any demands and is physically strong and hard working. We also never had any complaints from clients about him ever. Our observation: Jacob is quiet, tall and strong. He is well mannered and describes himself as honest and hard working. 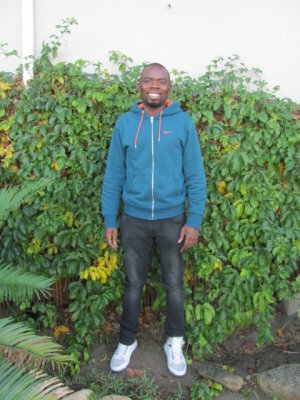 His story: Erick worked in Malawi as a driver. But the salary was so low that he decided to move to South Africa and try to work here. He says he can be a driver, gardener or do light house cleaning. In the meantime we found work for him (in Paarl!) and now he is still looking for employment on the day(s) marked green above. 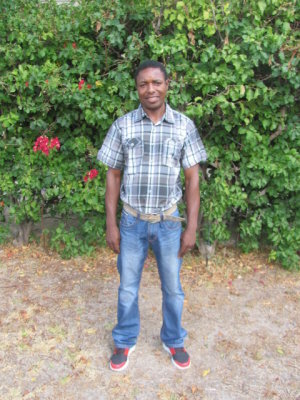 In South Africa he was a gardener for 2 days, helping out a family when they needed 2 instead of one gardener and their regular gardener Andrew brought him with to work. We contacted them for a testimonial. 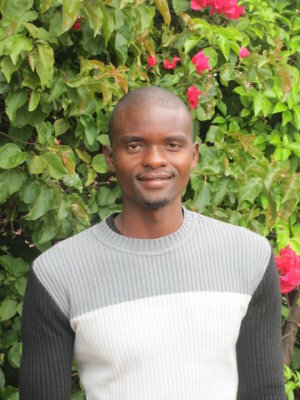 Our observation: Erick describes himself as a humble, honest and faithful person. He says he is a quick learner and his wife and children stay in Malawi. 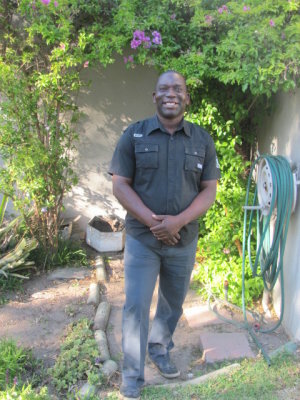 His story: Webster worked in Zim as a security guard for 7 years. He then came to South Africa and started to work as a security guard again. He then worked as a gardener and handy man and also did a seasonal painting job. We called the man of the gardening job for a testimonial. What the reference said: Webster worked for us for a year until he took on a full time painting job. He did our lawn and rest of the garden and I must say he is a good worker. He works unsupervised and was always punctual. He is willing to work hard which I liked and takes pride in his work. Our observation: Webster describes himself as reliable. He has a driver's license and can paint too. Weekends he often goes to auctions and buys things which he resells again. 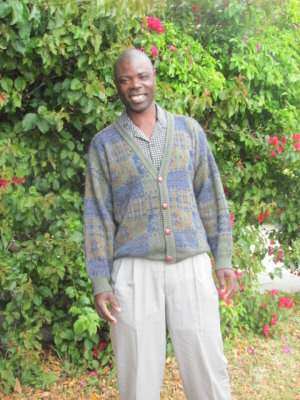 His story: In Zimbabwe Chris occasionally worked as a gardener. Then he was a taxi driver in Zimbabwe and a lorry driver in Botswana. Here in South Africa he has been working as a gardener. The man calls him when he needs him and we contacted him for a testimonial. What the reference said: Chris is strong and uses his head for what can be done next. He mows my lawn, cuts hedges and does odd jobs around the house and he always wants to please you. He is punctual and honest and I can definitely recommend him. Our observation: Chris is very flexible and will accept any type of job, even housekeeping. He doesn't want to sit at home but work and have an income to supply his family. His story: Ronnie worked for a family full time for 3 years until they could no longer afford him. What the refererence said: Ronnie worked for our family for 3 years full time. My sister paid him and when she went overseas we couldn't afford him any more. He did the gardening for us and general fixing of things. I can definitely recommend him. Our observation: Ronnie loves gardening and to be outside and describes himself as hard working. In his free time he enjoys fishing, running, playing soccer and yoga. 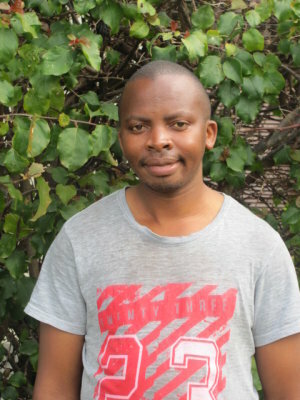 His story: Jimmy has been working for two of his employers for the last 5 years. They both gave him a nice testimonial (see below). 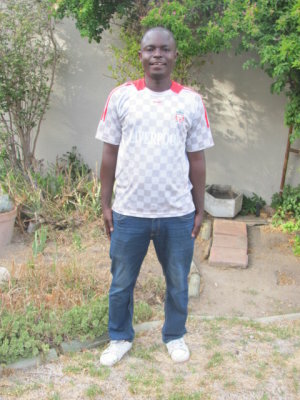 He came to South Africa in 2007 and can do gardening as well as cleaning, in fact one of his current employers lets him work one day/week in the garden and one in the house. One Stop Domestic has placed Jimmy for 2 days/week and he has been working for them since 2016 now. They absolutely love him and have given him a stunning testimonial. What the reference said: Jimmy has been with us for about 5 years now and works in the house as well as in the garden. I taught him to iron and he does it very well. He never misses work even if the weather is very bad. We have money laying around and nothing has gone missing ever. Jimmy works super quick like a little machine and is very reliable. He certainly is a hard worker and often saves money with us which he draws closer to Christmas. We got Jimmy through One Stop Domestic for 2 days/week about 2 years ago. Before him I had many unreliable cleaning ladies until my husband decided it is time to try out a man. I was sceptic at first but agreed to a trial period and what can I say? He is still with us and I really like both his personality and his work. He is humble, hard working and an experienced cleaner who irons well. 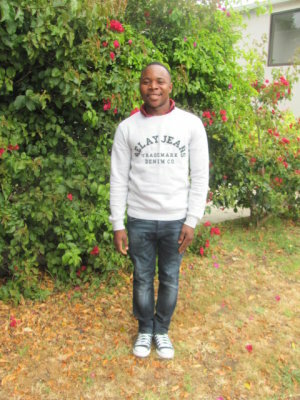 We live in Stellenbosch and coming from Khayelitsha, transport has never been a problem for Jimmy and anyone is welcome to phone me about him. Our observation: Jimmy is well spoken. He is clever, a fast learner and an all-rounder who can also take a housekeeping position. His story: Lawrence worked in Belville for a wood company for 9 months. He skimmed and cut the wood. Then he worked for a courier company, but the contract was finished after 3 years. In the Eastern Cape, he worked as a gardener for 1 year, 2 days a week. He is a single father to two school children, cleans his own house and irons their clothes. What the reference said: Lawrence used to work for me on a char worker basis. I called him when I needed him and I must say he really impressed me. I can recommend him, he is punctual and well mannered. Our observation: He is friendly and a fast learner. Weekends he spends at home reading and playing with his children. 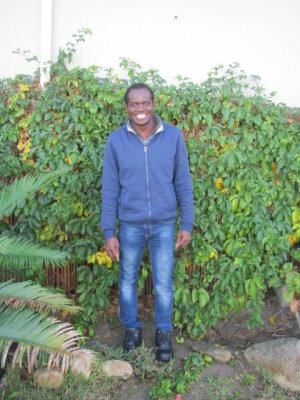 His story: Elias was a gardener in Zimbabwe. In South Africa he also did gardening, as well as building and construction. (Optic fibre cables). 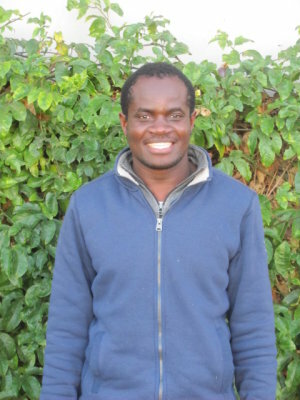 What the reference said: Elias was our gardener in Zimbabwe for about 3 years. Should he not have decided to go to South Africa he would still be with us! We were very happy with his work, he puts his work first and after an initial introduction went on unsupervised. 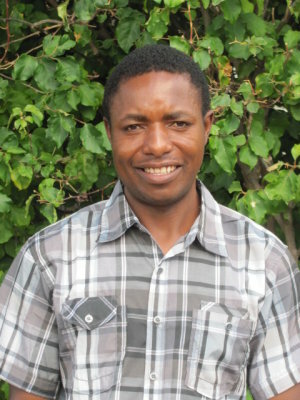 Our observation: On Saturdays, Elias helps his wife to sell second-hand clothes and on Sundays they go to church. 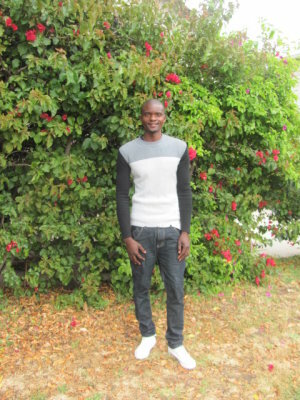 He describes himself as very dedicated and is experienced in garden work. 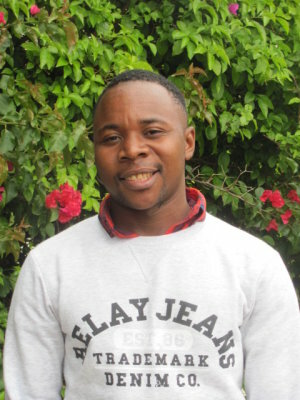 His story: Enock worked as a gardener for a family and worked with fibre cables as well. 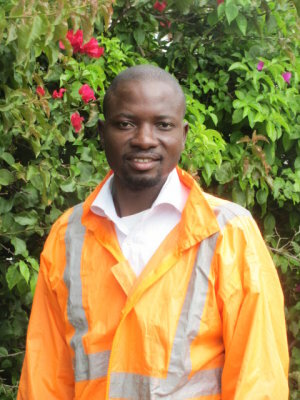 What the reference said: Enock worked for me as a gardener and also helped me with fibre cables. He is very reliable and I can definitely recommend him. Once he know what you want from him he is trying hard. 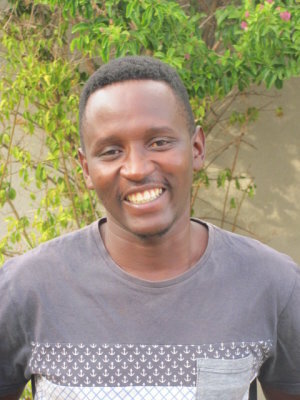 Our observation: Enock describes himself as friendly and easy going. He is still young and struggles a bit with communication but is very willing. 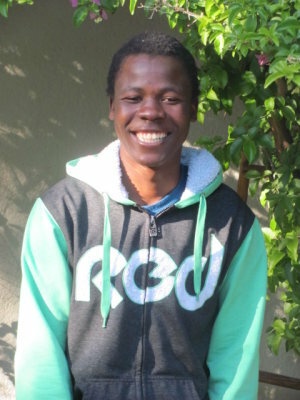 His story: Aaron worked for 3 years for a company which attend's to people's gardens full time. Then they downscaled their workers and now Aaron is looking for a new challenge again. His grandfather taught him how to fix electric appliances. What the refererence said: Aaron worked for us for around 3 years full time. He was a gardener for estate gardens we care for. He is very capable as it is intense daily work. He is a trustworthy and good guy and the only reason he is no longer working for us is that we downscaled our staff big time this year. Our observation: Aaron likes to work on his own and is very disciplined. He is humble and on weekends watches soccer on TV or meets with friends. His story: For 3 years, Harrison has been working for a family 3 days a week and we contacted them for a testimonial. 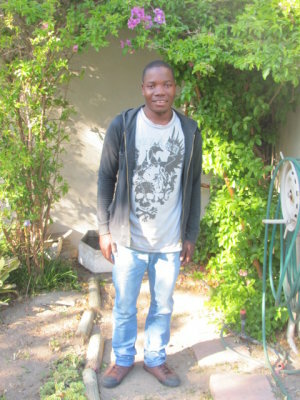 In the meantime we have placed him sucessfully 1day/week as a gardener in Cape Town. What the reference said: Harrison has been with us for 3 years now. We have a lady in the house and he helps her especially to clean the floors, walls and windows. When she is sick, he stands in for her and also does ironing for us. We do have gardening services but he does all the odd jobs around the house like fixing leaking pipes, caring for our pool and changing bulbs. He beats carpets as our house is very big, having 7 bedrooms and 5 bathrooms. My husband travels a lot and me and the cleaning lady feel very safe when Harrison is around. He gets along well with both her and me. 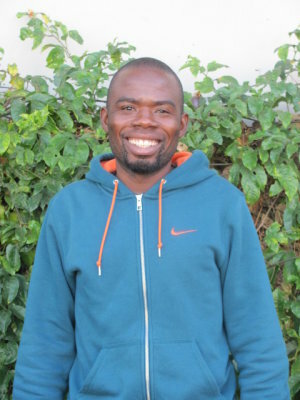 Since he comes from a family of fishermen in Malawi, he can fix many things. I can certainly recommend him, as he is very honest, on time and everything you need in a housekeeper. He especially irons very neatly. Our observation: Harrison is very self confident and is an extrovert. In his free time, he enjoys listening to music and likes to learn new things. His story: For 3 years, Stonard has been working for a family every Thursday as a gardener and we called them for a testimonial. We also called a second family where he works 1 day/week for the last 2 years. In the meantime Stonard has found work additional days and is now still available on the day(s) marked green above. Stonard works for us 1 day/week for the last 2 years. He works very well and does a good job. He leaves everything clean and works unsupervised, after we gave him some guidance initially. I leave him alone and the house open and nothing went missing ever. He was also not ever sick. I would describe him as trustworthy and reliable and I am a person who doesn't trust new workers easily. What the reference said: Stonard has been working for us as a gardener every Thursday. He is very punctual and reliable. I tell him what to do in the mornings and he gets to everything. He mows our lawn, cuts hedges, services the pool and does everything in the garden. He also cleans the barbecue grids. If we would not have had the same cleaning lady for 20 years, we would have employed him in the house as he is very neat and clean. Our observation: He describes himself as a quiet worker that loves gardening. On weekends he meets up with friends or plays soccer. He says he is willing to improve his housekeeping skills and also willing to be a housekeeper. 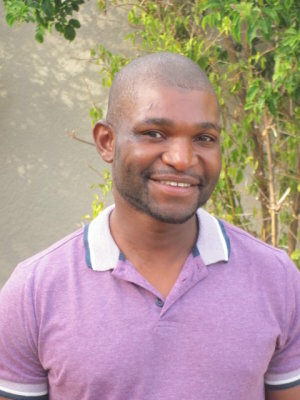 His story: Blester worked for 6 months for a family in Mpumalanga full time as a gardener and also helped them with their catering business. 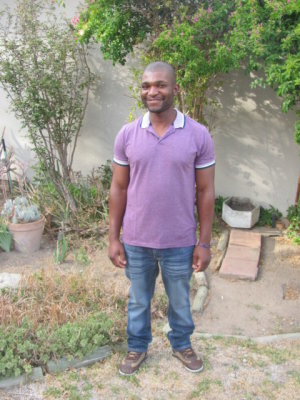 Blester then decided to move to the Western Cape and is now looking for garden work. What the reference said: Blester worked for us (we live in Mpumalanga) for about 6 months and would still be working for us if he would not have decided to move to the Western Cape. He worked for us as a gardener and also helped with our catering business and I can definitely recommend him. His duties were lawn mowing, planting flowers and hedge trimming. He was always punctual and we miss him. Our observation: Blester describes himself as honest, hard working and reliable. In his free time he follows soccer, bakes over firewood and Sundays goes to church. 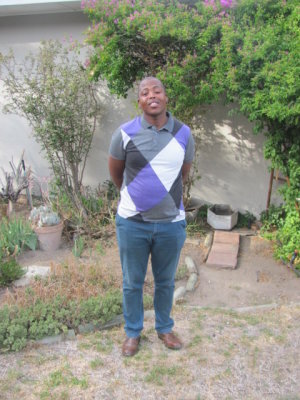 His story: Andile worked for a guesthouse as a gardener but had to go when high season was over. 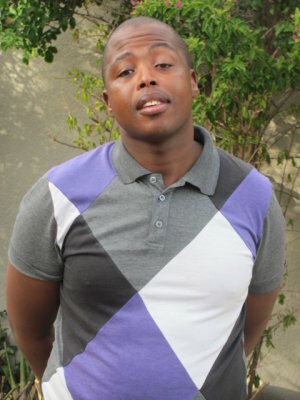 What the reference said: Andile worked for our guesthouse for 6 months. It was seasonal work in high season. He worked in our garden and kept it neat. If I must describe him I would say I found him to be honest, hard working and friendly. Our observation: Andile likes gardening and on weekends watches soccer. Sundays he goes to church and weekends spends time with his wife and 2 children. 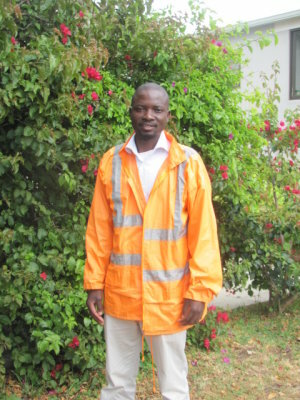 His story: In Malawi James worked for a company that was laying bricks for 10 years. In South Africa he worked for a company that does all kinds of maintenance work and we contacted the company owner for a testimonial. He explained that he was going with him to clients but also worked for him and his daughter as a gardner and he was full of praise for him. James is looking for sleep out work because his wife and daughter live here with him. What the reference said: James worked for me for about a year until he got a better paid building contract work and left out of his own. I took him with to clients, I have my own maintenance business and can only take reliable guys. I was sad to loose him but couldn't pay him more. He did gardening for both us and my daughter and also there we were very happy with him. He is very helpful and makes your day easier. He is really one of a kind, a rare, honest, reliable worker if you ask me. Our observation: James says he is always eager to learn new things and is a good person who has always been very healthy and he mentiones that he can also paint. 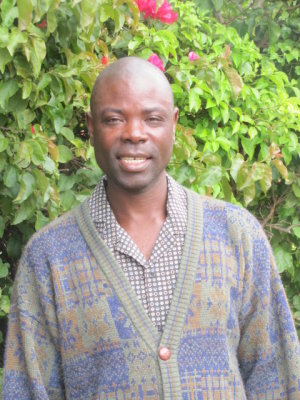 His story: Imulan worked in Malawi as a gardener and housekeeper for 2 years. Since they paid him little he decided to try his luck in South Africa. Here he also worked as a gardener and his employer even trained him a bit how to clean the house. What the reference said: Imulan worked for us for two years. We couldn't pay him enough and that is the reason why he left to South Africa. He worked both in the garden and house. He didn't cook for us and he is a very good person. He was punctual, healthy and friendly and I hope you will find him a good job soon. Our observation: Imulan says he is not perfect with ironing but can do housekeeping as well as gardening. He is a quiet worker who is very friendly. 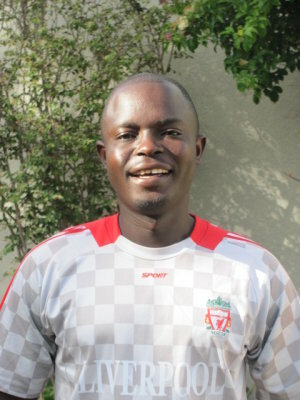 His story: Albert's wife and child live in Malawi. He first worked in Joburg and helped to renovate houses. Then he worked for a film making company until his contract with them ended. We contacted both for a testimonial. In the meantime we placed him and now he is still looking for work on the above day(s). What the reference said: Albert worked for us for several months until the work we had contracted him for was finished. He helped to renovate 4 to 5 houses. Albert is very polite, always on time and a real go getter who's real trustworthy. We are a film making company. Albert did all kinds of things for us. He helped to renovate and helped in the garden and I can say he is very honest and good with people. Sometimes he had to clean everything up and he is neat and well mannered and gets on with the job. Our observation: Albert describes himself as non choosy and willing to learn new things. He's living together with another men and the two of them have to cook, clean, do laundry and iron their own clothes. Therefore Albert says he can be a gardener, housekeeper or renovate again. 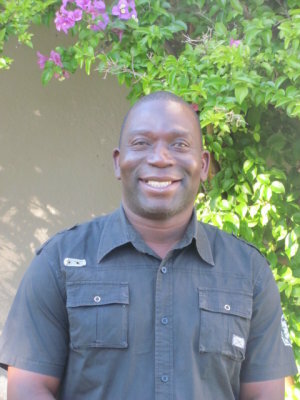 Albert presented us a Malawian police clearance certificate as well as a neat CV. 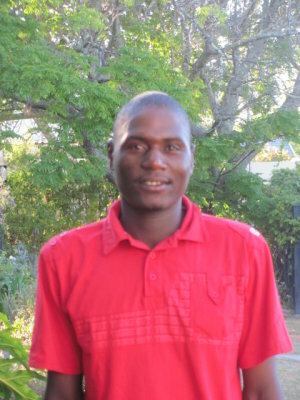 His story: Wiston worked as a gardener in Kuilsriver for 8 months and we contacted the employer for a testimonial. We placed him as a stand in cleaner with a guesthouse and also contacted the guesthouse for a testimonial. In the meantime he found work and is still available to work for you on the day(s) marked green above. What the reference said: Wiston worked for about 8 months when I needed him, I'm now retired. He is honest, pleasant and respectful. He was my gardener but also helped me build cupboards. I own a guesthouse in Strand and my main cleaner is a man from Malawi who was placed with us by One Stop Domestic. When work got too much in summer we asked the agency for a second helper. 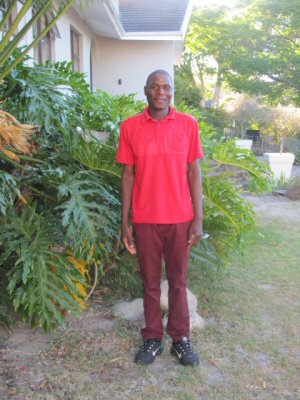 Wiston has now worked for me about 30 days in total and I can only say the best about him. He has always been friendly, most punctual and hard working. I use him both for the guesthouse and the garden and he is experienced in both. He is also honest and healthy. Our observation: Winston likes gardening and cleaning and on weekends meets with friends. 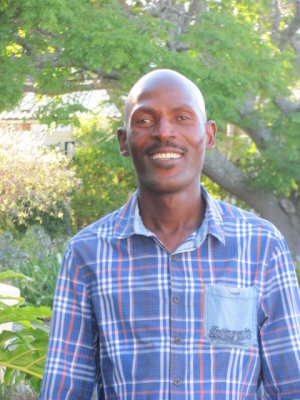 His story: Hugh worked for the same guesthouse as a cleaner, gardener and handy man for 5 years. The salary was very little especially in low season and Hugh decided to rather try work for a private family. He did a 4 month contract gardening work by the Somerset Mall and we called them for a testimonial. What the reference said: Hugh worked for our guesthouse for around 5 years. He had to do a bit of everything just like the ladies. Cleaned the rooms, made beds, served breakfast and booked in guests. He also did some regular maintenance and worked in the garden when it was very quiet. He then decided to rather try work for a family in order to have a more regular income and not have very little in low season which we understand. He is very reliable and I can recommend him. Hugh worked for us for around 4 month. 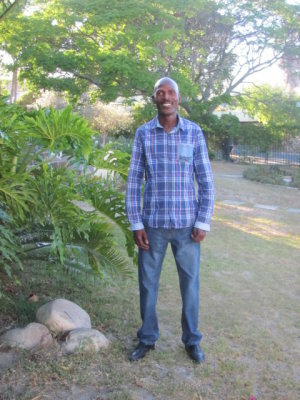 He helped to maintain the hedges, lawns and helped with the swimming pools around Somerset Mall area. It was a contract work only and all the workers' contracts expired the same time. I remember him well and he was a good team worker and definitely recommendable. Our observation: Hugh likes both cleaning and gardening. He is a quiet worker who is hardworking. In the summer he often goes for a swim and Sundays goes to church.